In Japan, a serious storm and severe floods in the west of the country lead to the evacuation of 8 million people. Binance immediately took the initiative to collect donations for the victims. The crypto exchange transferred the money in Bitcoin and Ethereum. One of the largest crypto currency exchanges in the world, Binance, is known for its cosmopolitanism and crisis support. Following the severe storms over West Japan, Binance acted immediately and announced that it would use its list fees as donations for the flood victims. 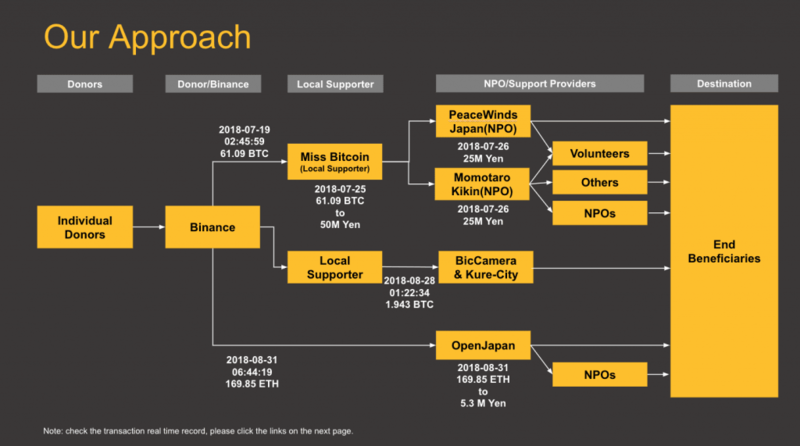 Today, @BinanceBCF published our first report on the West Japan Disaster Relief project, our pilot test for donation transparency. 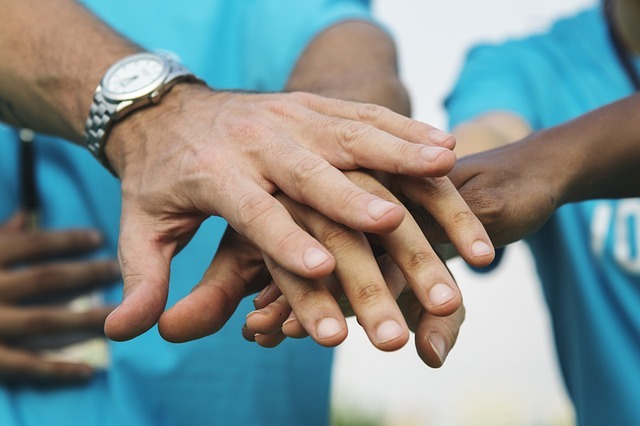 The Blockchain Charity Foundation (BCF), founded by Binance, aims to support global sustainable development through the use of blockchain technology. According to the company’s own report, the victims were quickly provided with 61.09 Bitcoin, equivalent to approximately JPY 50 million. This amount was forwarded to the local supporter, also known as “Miss Bitcoin Mai”. She was able to turn the entire amount into Fiat very quickly and easily, helping the victims immediately. In a second round of donations, Open Japan, another charity, has campaigned for the disaster victims and collected another 169.85 of Ethereum. This corresponds to an approximate value of JPY 5 million. In addition, Binance has arranged its own donations. This event, as well as in other areas of life and economy, is made visible by the value of digital currencies and their technology for the future. We are curious in what other areas these new technologies will enrich and support the world.